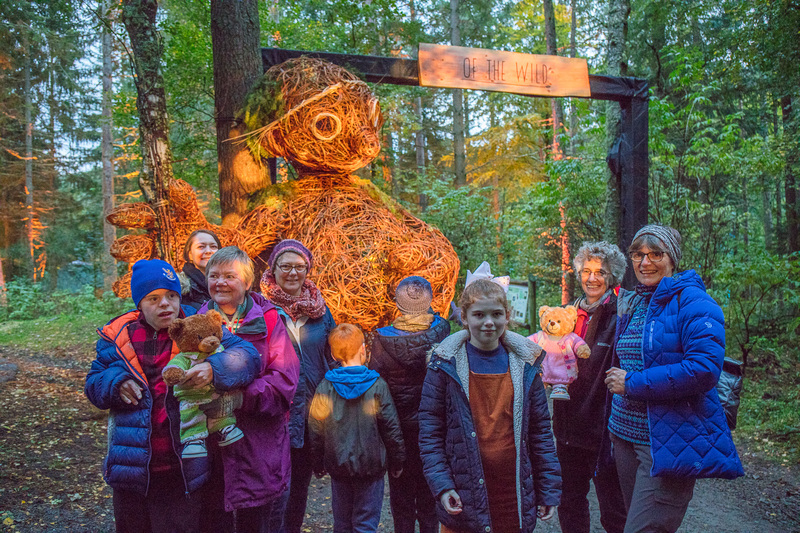 Lucky competition ticket winners and some local community group members who regularly get together at The Birks Cinema – one of Enchanted Forest 2018’s official charities – were treated to a visit to remember at Perthshire’s light show spectacular. Making the most of their tickets kindly donated by Enchanted Forest organisers, the group of all ages spent a fun-filled evening marvelling at this year’s Of the Wild… Nature by Night stunning displays and also gave a big thumbs up for the marshmallow toasting and storytelling. The Birks Cinema group included members of the Lego Animation and Yoga clubs for youngsters with special needs plus the Craic & Craft and Highland Perthshire Photography Groups which all meet in the cinema’s activity space.